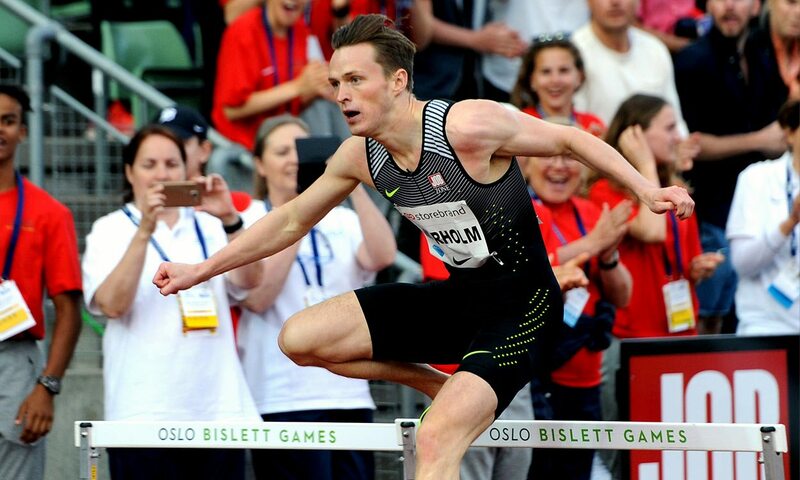 Norway’s Karsten Warholm broke the championship record to win 400m hurdles gold after six races in four days at the European U23 Championships in Bydgoszcz, Poland. Clocking 48.37, the 21-year-old finished clear ahead of Switzerland’s Dany Brand with 49.14 and France’s Ludvy Vaillant. It came the day after Warholm had secured silver in the 400m flat, with the national record-holder having contested heats and semi-finals in both events too. “I am very tired and I am so happy to have the record,” he told European Athletics. “The time is even better than I expected. Brits Jacob Paul and Jack Lawrie clocked 49.98 and 50.60 for fifth and seventh respectively. Another gold was added to the GB medal haul as Lee Thompson, Ben Snaith, Sam Hazel and Cameron Chalmers combined to clock 3:03.65 from Poland (3:04.22) and France (3:05.24) in the men’s 4x400m. Hosts Poland won the women’s event in 3:29.66 from Germany (3:30.18) and Ukraine (3:30.22). GB’s Lina Nielsen, Laviai Nielsen, Turner and Cheriece Hylton clocked 3:30.74 for fourth. The GB women’s 4x100m team did not get the baton around. GB’s Theo Etienne, Kyle de Escofet, Reuben Arthur and Ojie Edoburun had to settle for 4x100m relay silver as they were pipped to the title by Germany, with both teams clocking 39.11. There were also silver medals for 400m hurdler Jess Turner (56.08 PB) and 800m runner Daniel Rowden (1:48.16), who missed out on gold by just 0.01 with a late rush, while Jamaine Coleman (8:40.44) claimed steeplechase bronze. Olympic champion Sara Kolak of Croatia won the javelin with her second round throw of 65.12m, while Germany’s Konstanze Klosterhalfen claimed the 1500m title with a time of 4:10.30 as GB’s Amy Griffiths was fifth in 4:19.16. Yasemin Can broke the 5000m championship record (15:01.67) to claim a distance double for Turkey after her 10,000m success. At the end of the four days of action, GB finished joint second on the medal table with Poland with 10 medals, three of them gold, while Germany was top of the table. GB’s other golds had been claimed by Ojie Edoburun in the 100m and Finette Agyapong in the 200m.